Asteroids finally hits the 3rd dimension. While many new asteroids games claim to be 3D, they are in fact still flat 2D games with 3D effects. GrassGames' 3D Asteroids is the first asteroids game to enter the 3rd dimension for real. 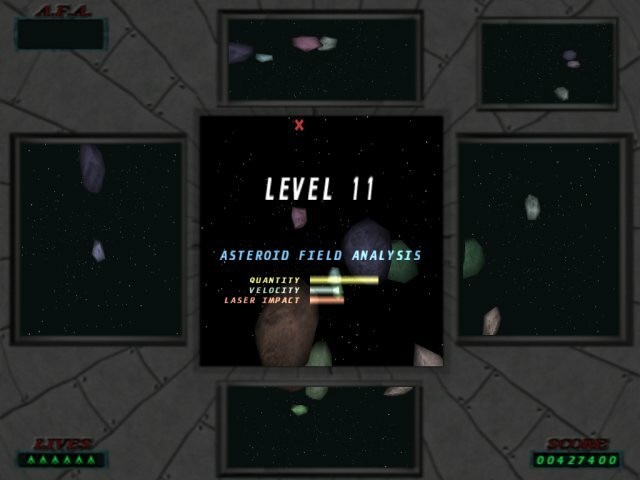 Using an unique 6 view screen and a special control system, your task remains to dodge and destroy asteroids, but this time you have have to watch your back - and every other direction you can think of. Faithful to the original classic asteroids game in all respects, but with an extra dimension, 3D Asteroids offers something original and fresh for all players. The game play has been fine-tuned.